When Profile Homes named this contemporary home The In Vogue, it hit the mark. This house, which celebrates the laid-back style of apartment living, draws together outdoor and indoor elements to create a deceptively simple, light-filled and inviting residence. 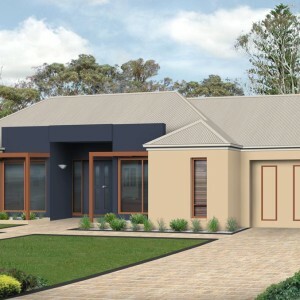 And it simply can’t fail to impress clients across Melbourne and Geelong who are searching for ideal single-storey house designs. 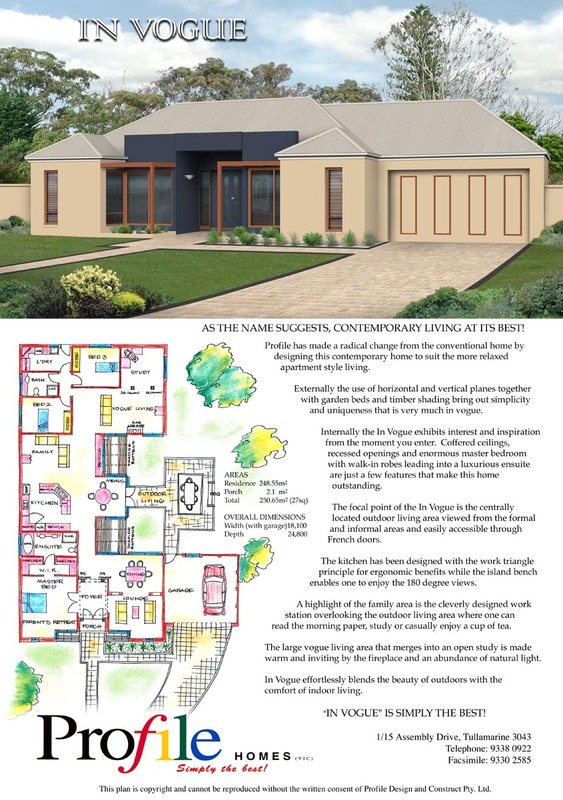 From the strong vertical and horizontal lines that give exterior character to the residence, to the wide range of outstanding internal features including coffered ceilings and a kitchen packed with ergonomic benefits, this is a delight among single-storey homes. Today, outdoor living is a big part of our homes. 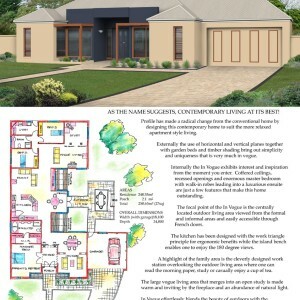 The In Vogue celebrates this, placing its outdoor living space on centre stage in its design. Just step through french doors to the excellent space, which is easily viewed from the home’s informal and formal sections. While the living spaces are roomy and built for gatherings of family and friends, the bedrooms offer a chance to relax in peace and luxury. The quality master bedroom boasts walk-in robes and an impressive ensuite. 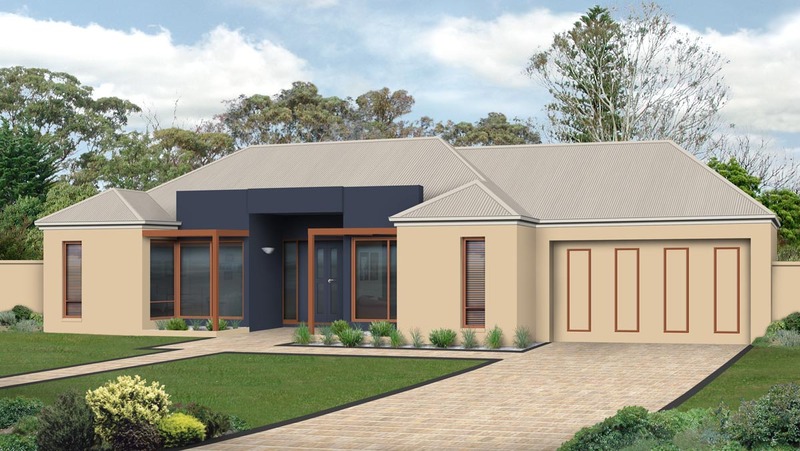 If you are after the best when it comes to single-storey homes, then head for the top. Be in vogue, and consider The In Vogue. It’s 30.8 squares of excellence and you won’t be disappointed. The home is a total of 286.6m2 including porch and garage. It is 18.1, wide and 24.8m deep.